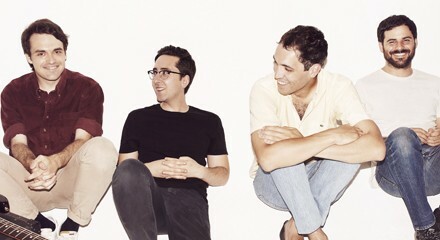 Tonight at Lincoln Hall, Delorean play their electronic dance music for people who can't stand electronic dance music. "They look like the scruffy-faced dudes in your typical guitar-centric indie band, but they happen to use those instruments (guitar, bass, drums, keys) to play glimmering, euphoric dance-pop," writes Leor Galil in Soundboard. The Kill Yr Idols reading series prematurely celebrates the death of still-living pop culture icons. Tonight they give the fake posthumous honors to Bill Cosby with readings from Heiko Julien, Muyassar Kurdi, Stephen Dvorak, and Elizabeth S. Tieri and a performance from the Iceberg. It all goes down at Cole's. Juliette Binoche stars in Bruno Dumont's French biopic Camille Claudel 1915, which tells the story of the sculptor's time in an asylum. J.R. Jones writes, "Still beautiful at 49, Binoche has the sort of delicate features that might compel a sculptor, and she gives an extraordinary performance in a role of near-complete suffering." See it tonight at the Gene Siskel Film Center.